For Meg, Last Chance Bay, Cape Breton, is a dead-end place with little to recommend it. She cannot imagine having the kind of life her mother leads; being a miner’s wife who is always terrified that she is going to hear the siren which announces to the community that there has been a mining accident. Worse still she has dreams and aspirations which have nothing to do with the life that her family leads. What Meg wants to do more than anything, is to learn how to fly an airplane. Meg’s greatest hero is Amelia Earhart and it is the hope that she will some day get to fly which keeps her going. There is one person who does seem to understand her dreams and that is her cousin Caleb, a boy who is rapidly becoming a man and whom Meg has strong feelings for. While Meg struggles with growing up in a place in which she feels the odd one out, Europe struggles with a war. Many young Canadians have gone to fight against Hitler and what is going on across the Atlantic is never far from anyone’s thoughts. 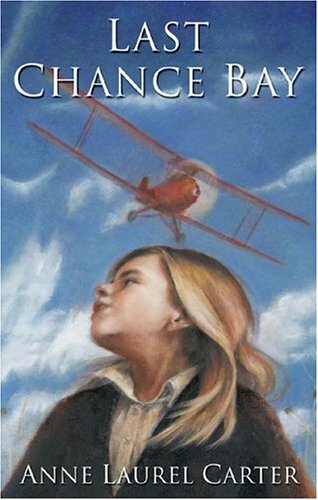 When a public speaking contest is arranged at her school Meg decides to talk about the one thing that means everything to her - about flying up in the sky, close to the clouds, and about flowing in the footsteps of the courageous Amelia Earhart. After Meg gives her own successful speech she discovers that Caleb has something even more momentous to say, something which changes her life forever. In this coming-of-age story set against the backdrop of World War II a young girl discovers that things and people are not always as they seem. She learns that being a girl is not always a bad thing and that boys too have to face difficult decisions. They do not automatically get to have their dreams come true just because they are boys and the people who seem to be "lumps of coal" can in fact become diamonds if they are given a chance.